We have a special Zoo Package just for you! Pack up the kids and come to the DoubleTree by Hilton Racine for a one-night stay in our comfortable, newly renovated guest rooms. Package includes; (4) tickets to the Racine Zoo, (4) tickets for Zoo Choo Express and a “welcome basket” which includes family treats and (2) Zoo gifts for the kids. The DoubleTree by Hilton Racine is the perfect place to stay while visiting the Racine area. 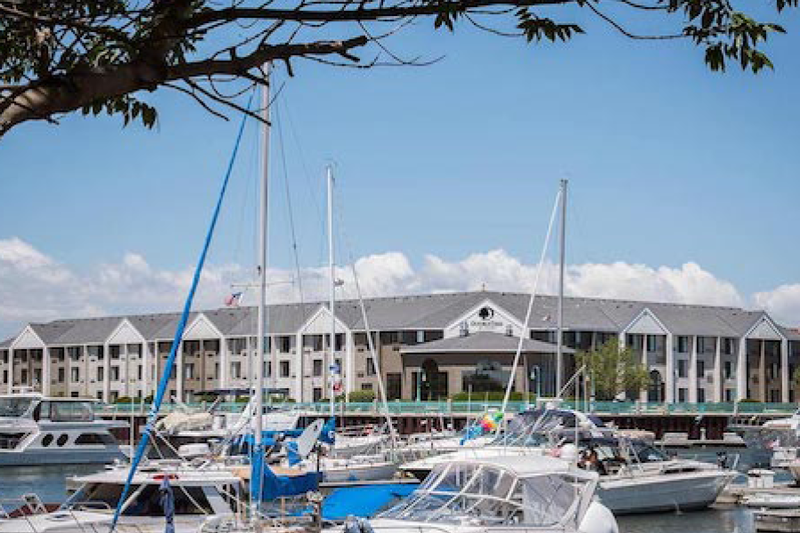 Not only do we offer beautiful lake views of the Racine marina but we are close to the Racine Zoo, Wind Point Lighthouse, North Beach, charter fishing and the downtown shopping district. The hotel features an indoor pool & whirlpool, attached restaurant and bar, fitness room, banquet rooms, complimentary WIFI and a friendly check-in with a warm DoubleTree cookie.